As a little girl, Victoria Wiebe was "sensitive" to odd things - she resented loud noises, she wore her socks inside out because she did not like the feel of seams under her toes, and she would rebel when the passage of time required that she change her numeric age or school grade. In elementary school she started doing what her parents called "sleepwalking" at night - going about picking at things only she could see, putting her shoes on and taking them off, filling tumblers with water and pouring them onto the carpet. Then in September 2009, when she was 10 and just starting Grade 5, she went into "sleepwalking" mode while having lunch at home. "She started acting weird, spitting out her food and drooling," Victoria's mother, Amanda Wiebe, says. It was the beginning of the end of Victoria's life as a typical child. Soon, she was having frequent, even multiple, seizures, and within months was diagnosed as an epilepsy patient. Medication largely controlled the seizures, but left her feeling like a "zombie." She struggled in school where her poor performance led to teasing and worse. She had to withdraw from a German language program. She lost friendships - one ended after she was mocked as "Seizure Salad." She was constantly being humiliated in other ways. Her medications caused her weight to yo-yo - ballooning from 120 pounds to 160 for a time and then crashing to 98. She was variously thought to be a "binger" or "bulimic" by people who didn't know better. A teacher told her father she was "stupid." For one three-year period, Victoria was seizure-free but, again, only because her medication dosages were increasing. "You look at her school pictures year after year and you see how she was more and more stoned," her mother says, fanning out the photos to prove the point. She could not do typical teenage things, like learning to cook, or to drive. It was too dangerous, as was bathing, for that matter. Her social life dried up, and she became shy to the point of awkwardly self-conscious. She fell into depressions so despairing that she was suicidal. "All I wanted was to die," she says. 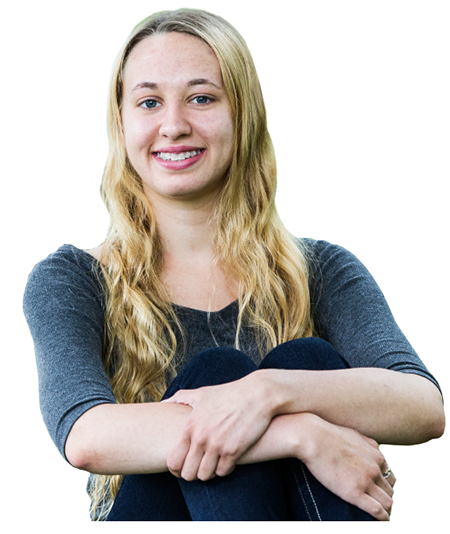 In Grade 10, her doctors tried to wean her off one of the two drugs she was taking. It worked, for about three months, and then it stopped working with a vengeance. She started having daily seizures, sometimes multiple seizures, creating the need for more and ever more medication. She once had 18 seizures in 24 hours. 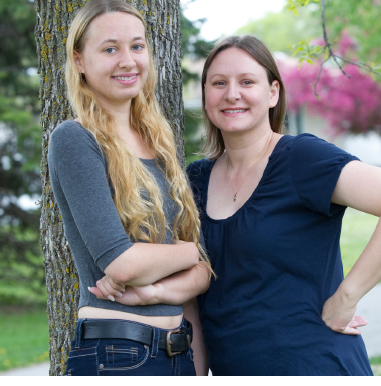 Then, a year ago, she was referred to Dr. Demitre Serletis, a neurosurgeon who had recently been recruited to launch a new epilepsy program in Manitoba, one that would help people like Victoria. Manitoba has long had physicians who can diagnose and treat epilepsy patients with medications, and neurosurgeons who are able to perform standard epilepsy surgeries. But Manitobans seeking more complex treatments and procedures have always been required - at great expense and inconvenience - to go to larger epilepsy centres, like those in Ontario and Quebec. That's not because epilepsy patients have been ignored by the health-care system. It's more that the province has been too small to support a large, comprehensive epilepsy program. "Epilepsy is one of the few chronic illnesses that you can actually cure with surgery"
But that is starting to change, thanks in part to developments that began nearly two decades ago. It was around that time that research began to establish the efficacy of surgery as a means of preventing the "electrical brain storms" that cause seizures in epilepsy patients. Then, in 2009, international scientific recommendations were made that patients whose seizures continued after two failed attempts to control them with medications should be considered for complex surgeries that disconnect pathways in the brain over which the electrical storms flash. At the same time, major advances in surgery and training started to make it economically possible for smaller jurisdictions to become more ambitious about developing their surgical programs. These advances created an opening for Manitoba to step up its game. But what to do? It's one thing to identify an opening, it's quite another to act on it. Fate stepped in two years ago when Dr. Patrick McDonald, Head of HSC's pediatric neurosurgery program, accepted a position in Vancouver, creating an opening in Winnipeg. Dr. Colin Kazina, 39, who grew up in the shadow of the Canadian Mint in Southdale and got his medical degree at the University of Manitoba, was saddened to see McDonald leave. McDonald had been an exemplar, Winnipeg's first "fellowship" pediatric neurosurgeon. In fact, he had inspired Kazina to pursue his own fellowship in pediatric neurosurgery in Salt Lake City, Utah. McDonald's leaving was problematic for Kazina - he suddenly was the only pediatric neurosurgeon in Manitoba. But it was also an opportunity, and he seized it. Kazina knew that with one pediatric neurosurgery spot to fill, the "big, best help for Manitoba children" would be to increase the epilepsy surgery options available here. But he also knew that a surgery program could only work if it co-ordinated the spectrum of medical experts involved in the treatment of all epilepsy in Manitoba - from the neurologists who specialize in epilepsy (epileptologists), radiologists, EEG technicians, epilepsy-trained nurses, neuropsychologists, nuclear medicine specialists, and, of course, the desired epilepsy neurosurgeon. Getting all those ducks in a row so that patients could have a seamless transition from initial diagnosis to treatment would require intense planning. The result of such a "build," however, would be a comprehensive epilepsy program that included local workup and surgery for the first time for the pediatric population. Hiring an epilepsy surgeon would set in motion the transformative chain reaction. "Were we behind?" Kazina asks. "A little bit. But by far the better way of looking at it was that where we could go was just so much farther. We're in that zone now. The awakening." Kazina suggested to his colleagues - among them his boss, Dr. Neil Berrington, Head of Neurosurgery; Dr. Jack McPherson, Head of the Department of Surgery; and Dr. Terry Klassen, Director of Child Health - that the new hire should be a neurosurgeon who could perform advanced epilepsy surgical procedures in addition to being able to perform adult and pediatric neurosurgery. Not that the group needed persuading. As Berrington points out, everyone agreed that the new opening represented an opportunity to enhance the epilepsy surgery program. "The opportunity to establish a vibrant academic surgery program for epilepsy in children, and expand our existing program for adults, was not to be passed up. The real question was who best could lead the effort. And as it happened, Kazina knew of a young Canadian surgeon who had developed just such an epilepsy surgery program in Little Rock, Arkansas, and who might want to return to the Great White North. Demitre Serletis was about four years old when he read a children's book at home in Calgary about Louis Pasteur, the 19th century French microbiologist whose myriad accomplishments included the creation of a vaccine for rabies and the process known as pasteurization that makes milk safe to drink. "That's where my interest in medicine came from," Serletis says now, 33 years later. "Pasteur was a neat guy who did a lot of great things. I knew I wanted to be a doctor." Serletis's interest became more focused as he grew older. A curiosity about the brain eventually led to an intense interest in neuroscience and then a determination to become a neurosurgeon. That, in turn, led to a specialized interest in epilepsy while doing his residency at the University of Toronto, where he trained at the Hospital for Sick Children and the Toronto Western Hospital. Epileptic seizures occur when the electrical signals travelling between neurons in the brain are disrupted, producing "electrical brain storms" that cause an array of behavioural responses ranging from simple staring spells, often mistaken for daydreaming, to more dramatic limb-flailing and whole-body convulsions. Brain waves increasingly are measurable and mappable with specialized scans and probes, and therefore can provide data that intrigues Serletis the researcher and fuels concepts like implantable "brain-computer interfaces" that can modulate brain functions and, perhaps, control seizures. While it sounds a tad sci-fi, Serletis notes that seizure response dogs can pick up "auras" that herald the onset of seizures hours and even days in advance and warn their owners. Science just can't explain why. Not yet, anyway. The clincher for his decision to become an epilepsy neurosurgeon was this double promise of a richly rewarding career helping people while working on a new frontier of medical research. The cure rate of epilepsy surgery - "freedom from seizures" - for properly worked-up surgical candidates can be as high as 60 to 85 per cent. It's a phenomenal success rate, even if the pool of candidates is small. While about 65 per cent of epilepsy patients are seizure-free after their first medication trial, that freedom most often is temporary. Only about 15 per cent of medicated patients remain seizure-free for life. For most, medication makes life more comfortable by mitigating seizure frequency and intensity. But beyond the patients who are cured or who are helped is a smaller group of patients - between 15 to 30 per cent - who are considered "medically refractory" or medication resistant. They can only be cured by surgery, which - thankfully - is very likely to succeed. "Epilepsy is one of the few chronic illnesses that you can actually cure with surgery," Serletis says. "That's very gratifying and stimulating because how often do you really get a chance to help with such conditions?" The success rate of surgery is attracting renewed attention to epilepsy and driving interest in epilepsy research, causing techniques and technologies to leap-frog forward, advancing not only the understanding of epilepsy but also the connectivity and intricate networks of the brain itself. With his specialty training in neurosurgery under his belt, Serletis took one more step, accepting a fellowship at the Cleveland Clinic in Cleveland, Ohio - one of the world's top epilepsy clinics. During his year in Cleveland, Serletis was totally immersed in its epilepsy surgery program, learning in detail all the steps needed to identify and work up pediatric and adult patients for surgeries, of which he performed more than 300. It was that wealth of experience and demonstrable ability that landed him in Little Rock, a city, like Winnipeg, of about 750,000, where he had been invited to create an epilepsy surgery program from scratch. "I took the building blocks from (Cleveland) and used them in Arkansas. They are the building blocks I'm applying now in Winnipeg." The probable causes of epilepsy are many - heredity, head trauma, brain tumours, scarring, brain malformations, extensive fever, to name a few. But the fundamental nature of seizures is that they may be characterized by "transient, recurring disruptions of electrical activity" in the brain. In some ways, that's not news. Hippocrates, the Greek physician known as the father of medicine, was talking about mind-body connections back in 500 BC. Stone Age skulls have been found with holes drilled in them to allow demons, believed to be causing seizures, to escape. Or so the experts theorize. In fact, demons in the brain remained a common explanation for seizures until fairly recent times when people started to look to science rather than spirituality for answers. It was only in the 1800s that British and German researchers demonstrated that electrical stimulation of different parts of the brain caused muscular reactions. In the 1880s, British neurologist David Ferrier took it one step further and demonstrated that intense electrical stimulation of different parts of the brain's cortex produced responses not unlike "epileptic fits." One of the most common types of epilepsy originates in the temporal lobe . . .
A few years later, in 1886, famed British neurosurgeon Victor Horsley removed a portion of an epileptic patient's brain and his seizures ceased. The excised portion had been scarred by a childhood accident and Horsley concluded the scar was the source of electrical disruption. Horsley continued to perform "craniotomies" successfully. But it would be more than 100 years before the advent of intense surgical training and precision technologies - such as MRI scans and brain probes - made it possible to pinpoint the "focus" of rogue electrical brain activity, and cut off the power. That's the difference between epilepsy surgery and medication. Medications often work by either diffusely suppressing "excitable" molecular pathways, or alternatively by boosting "inhibitory" molecular pathways of the brain, Serletis explains. In contrast, surgery usually severs the electrical networks involved in seizure onset and spread. One common (last-resort) procedure that has been performed in Winnipeg for epilepsy patients is the implantation of a "vagus nerve stimulator," also known as a "pacemaker for the brain." A wire runs from the stimulator (implanted in the chest) to electrodes wrapped around the vagus nerve (in the neck), which itself is connected to the brain stem. In this way, the stimulator sends calming electrical pulses to the brain at regular intervals and can be activated when a patient's "aura" indicates a seizure is imminent. Stimulators rarely eliminate seizures, but are credited with reducing them by as much as 45 per cent in about one-third of patients, according to the American Epilepsy Foundation. One of the most common types of epilepsy originates in the temporal lobe, a region of the brain located behind either temple, just above the ear. A common surgical treatment is a "temporal lobe resection" in which a portion of the affected lobe is removed once it has been identified as the "focus" of rogue electrical activity, typically through an exhaustive pre-surgery evaluation process that can take months. While the success rate of this procedure can be as high as 85 per cent after one year, the procedure carries some small risks relating to short-term memory, language and other functions of the brain. But Serletis emphasizes that the risk of these impairments is small compared to the substantially increased threat of injury or death from uncontrolled seizures in commonplace settings, like city streets or bathtubs. Moreover, some may suffer something called Sudden Unexplained Death in Epilepsy (SUDEP), which is now recognized to have risk estimates as high as nine per cent per decade (per patient). The most complex epilepsy surgeries, known as hemispherectomies, are performed in catastrophic cases where pediatric patients are completely debilitated, experiencing dozens or even hundreds of seizures daily and where all other treatments have failed. 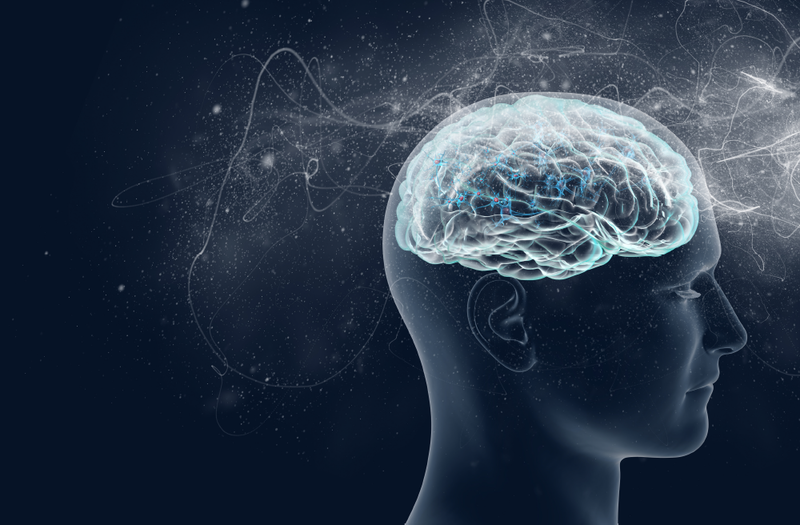 The procedure involves the disconnection, and in some cases removal, of a severely damaged hemisphere of the brain responsible for the onset of wildly uncontrolled seizure activity, proven through electroencephalographic, or EEG, testing. In this way, epileptic signals can no longer arc across from the diseased hemisphere, sparing the healthy hemisphere, which is then allowed to function unimpeded. Serletis says that performing life-saving hemispherectomies on young children and seeing them emerge seizure-free was the most rewarding of his experiences in Little Rock. The procedure is most typically performed on children, whose young brains have the "plasticity" to rewire and shift functions lost from excised brain matter to other areas, an ability that is lost in later teenage years, says Serletis. In fact, it is a fortuitous triad - the plasticity of young brains, the fact that most epilepsy patients (about 85 per cent) are diagnosed by age 18, and the impressive cure rates of surgery - that naturally leads caregivers to conclude that the greatest benefits of a comprehensive epilepsy program will come on the pediatric side. Over and above the relief of suffering, curing children might be called a win-win-win - suffering is relieved (with reduced risks for seizure-related injury or SUDEP), the seizure-free period is maximized and the cost of long-term chronic care is eliminated. A discussion of surgery and medication, however, in many ways puts the cart before the horse. 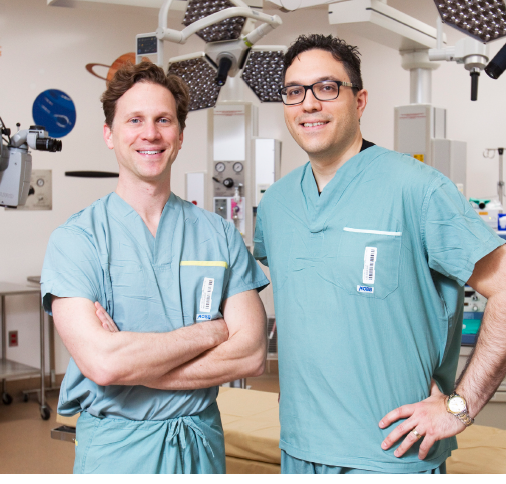 Intake is the most crucial component of the epilepsy surgery program being built in Winnipeg, as it is everywhere that such comprehensive programs exists. As Kazina notes, one of the main benefits of introducing a surgery program is that it requires the disparate aspects of diagnosing and treating epilepsy to pull together, to create a seamless response that addresses patient needs. Work co-ordinating that response started a year ago with the arrival of Serletis in Winnipeg, where many of the components - from neurologists to scanners - were already available. But there were two obvious missing links. Neurologists who specialize in the non-surgical workup and treatment of epilepsy are called epileptologists. When Serletis arrived, there were two adult epileptologists, but none for children. Since then, the program has recruited two pediatric epileptologists, who are expected to join the program by year's end. The other inadequacy was the need for modern "epilepsy monitoring units" found elsewhere. Quality EEG monitoring of the brain's activity is critical to the program because it enables the medical team to identify the "focus" of the seizures in a patient's brain. Patients in such monitoring units are wired via scalp electrodes to EEGs that record electrical activity from the brain and store it into a computer database. In many cases, patients may undergo short-term surgical implantation of electrodes using advanced techniques, and would benefit from additional monitoring in an epilepsy unit. What the EEG is looking for is the onset of abnormal electrical activity underlying seizure events, in order to locate their source and intensity. But to do that, a seizure must occur. Patients, therefore, can remain in bed for days - even weeks - waiting. And for that entire time the unit must be well-staffed with appropriately trained personnel. The existing monitoring unit at HSC is outdated by modern standards and geared to adult patients, not children. Last month, however, it was announced that a private donor put forward $2 million to create a two-bed pediatric epilepsy monitoring unit that will close the pediatric gap. The EEG, however, is but the first step in trying to accurately pinpoint and map the "focus." Ultimately, the goal is to develop a strong hypothesis as to the location of this seizure-onset zone. Additional tests typically require expertise and technologies already available - MRI scans, nuclear medicine imaging, neuropsychological consultation and, eventually, a review at a multidisciplinary epilepsy surgery conference. "I remember his overall manner, his calm, soft-spoken way, made it so much easier for us." Decisions are then made towards continued medical management, upfront surgical resection or, in many cases, the need for surgically-implanted electrodes for better EEG monitoring before a final decision can be made. Victoria Wiebe was referred to Serletis last June. At the time, the frequency of her seizures was increasing at an alarming rate. Her mother, Amanda, says she and Victoria both felt some immediate relief from the desperation they were feeling. "I remember his overall manner, his calm, soft-spoken way, made it so much easier for us," Amanda recalls. Although there was not a pediatric monitoring unit available then, the EEGs and MRI results that Victoria had amassed during the previous seven years indicated an obvious focus - scarring in the depth of her left temporal lobe called "mesial temporal sclerosis," with some architectural disruption of the surrounding networks in this region. In conference, Serletis and his emerging team agreed that Victoria was a good candidate for surgical removal of the focus tissue - about four centimetres of her left temporal lobe, including the innermost scarred-up tissue within its depths localized to a structure called the hippocampus. The Wiebes held a family meeting to discuss the prospects of a "scary brain surgery" - her mom, dad and sister, after all, had been in it together for seven years. It was, however, Victoria's call. "When there were so many [seizures], I got so tired that I would just cry, and I told my mom I just want them to stop. I don't care, I just want them to stop." The surgery was performed on Feb. 28. Victoria has not had a seizure since, a hopeful sign for everyone. It does not mean, however, that she is seizure-free. Victoria's recovery will proceed cautiously. Over the next few years she will be slowly weaned off the three anti-seizure medications she has been taking. "Having her seizure-free for two months is just bliss." A confident declaration that she is seizure-free will likely not be made until years have passed, possibly while remaining on a minimal dose of medication (or perhaps altogether medication-free). Which, of course, weighs on Victoria's mind and, in part, explains why her outlook remains more pessimistic than an outsider might imagine. Victoria says she is happy not to have seizures, but not euphoric - it's too soon. In fact, she measures her happiness by what people tell her, not what she feels. "Everyone says I look so much better, so much happier." Serletis says that it must be remembered that her current medications "are meant to suppress excitability, to blunt her nervous system." He notes that the "the real tragedy of epilepsy" is that the disease becomes part of the patient's identity. "All the more reason to target epilepsy in the pediatric age group, before it has made a life-long impact," he says. "Imagine, she is 18 now. Epilepsy has been with her her whole life. It has been her limiting factor, and her justification to avoid things. She's built her life around epilepsy and now we've plucked it out. How does she now take this and carry on, continue with school, graduate, get a job, and have an enjoyable life?" It will be a hard, long road, he says. "I would be so happy to see her make new friends, to get back into the community, to do things she enjoys. It's like she's now put on running shoes and walked onto the track. But she hasn't run the race yet." Amanda Wiebe is more upbeat. "Having her seizure-free for two months is just bliss," she says. "We're taking it one day at a time, but [Victoria] is very happy about that. It's been scary, but she's come this far. She might be shy, but she's courageous and tough. She's an exceptional child." Amanda becomes emotional talking about what a good thing the new epilepsy program has been for her family, and will be for others. She is especially grateful to Serletis. "We're really glad we got him," she says. "He's changed our lives for the better. I can't thank him enough." Gerald Flood is a Winnipeg writer.